Theory of Everything, Stephen Hawking: How difficult was it to make a movie about a person who is still alive? How Difficult Is It to Make a Film About a Person Who Is Still Alive? 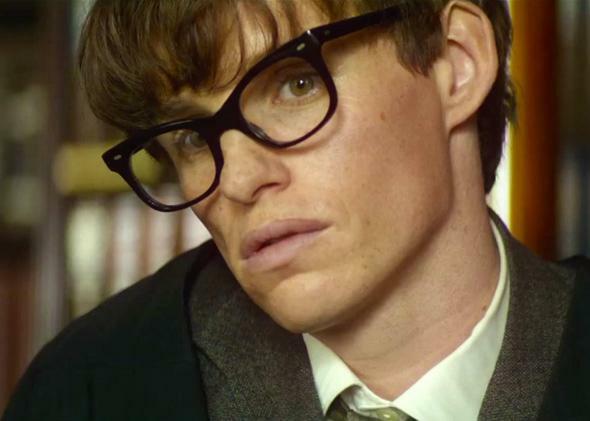 Eddie Redmayne as Stephen Hawking in Theory of Everything. I would liken it to walking down the street and looking into the window of a house that’s illuminated. You see two people dancing, but you don’t know what music they’re dancing to. The process of script writing, whether it’s about real people or not, is about imaging what music they’re dancing to. It was a really moving moment for me because, for 10 years, I’d had a vague sense of trespass, that I was on someone else’s property and hadn’t been invited. But with that endorsement, that feeling left me, and it was a considerable relief. And I think anyone working on real-life stories, whether they admit it or not, are yearning for that endorsement from the subject of their stories. And you don’t always get it—I don’t know whether Mark Zuckerberg ever endorsed The Social Network, for example. I don’t think you really need it, but there’s a part of your conscience that requires that blessing. And I can tell you that it’s very relieving. Jane Hawking also saw it, and she said, when the lights came up, “I’m floating on air.” And the children said, “That is the life, we lived—and by the way, how did you know that our tablecloth was that exact pattern?” Apparently, the tablecloth that we used in the kitchen was the same design they had when they grew up, which was so spooky. For the children, they hadn’t ever seen Stephen walking—they had only known their father in a wheelchair—so it turned out to be a cathartic thing for the children. Hawking’s daughter Lucy emailed after the screening saying that she’ll have to see it again, because she wept all the way through. Screenwriting: Is Fargo really based on a true story? Biographies: According to Dustin Moskovitz, what are some of the inaccuracies in the movie The Social Network?